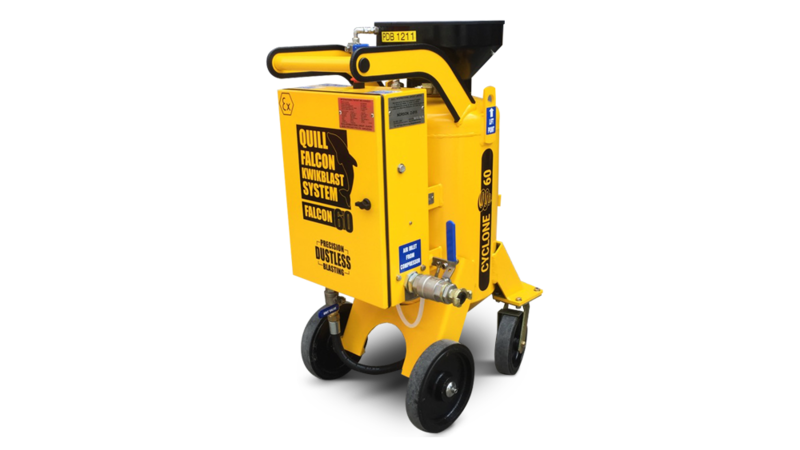 The Quill Falcon Cyclone 30 has been engineered to be light and manoeuvrable and is perfect for small jobs in confined areas and particularly good for delicate projects. The Quill Falcon Cyclone 60 is possibly the most versatile of the Quill Falcon Systems as it is powerful, easily portable and blasts for up to 3 hours before it requires refilling. The Quill Falcon Cyclone 120 is possibly the most flexible of the Quill Falcon range. 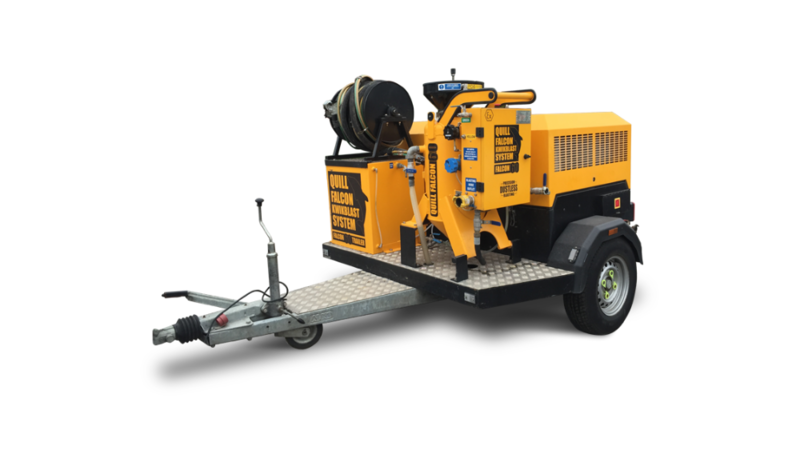 It is both powerful and portable when full of water and blast media lends itself perfectly to both large and small projects. 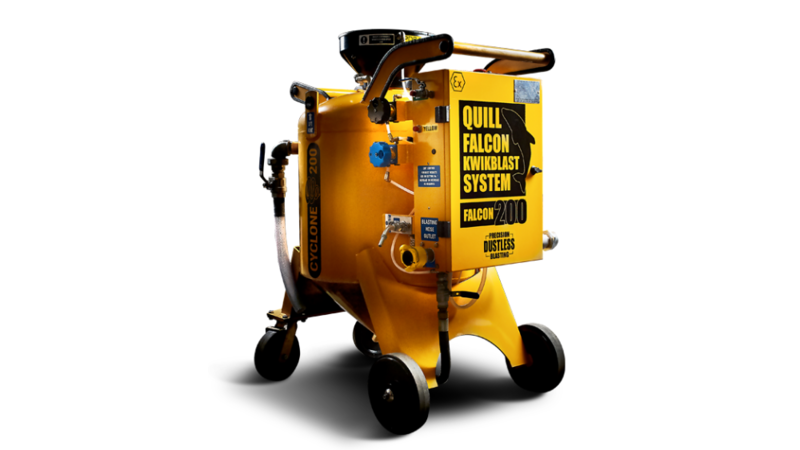 The Quill Falcon Cyclone 200 is the most powerful of the Quill Falcon Systems due to its size and ability to be used with up to a 600cfm compressor making for effortless blasting in demanding conditions. 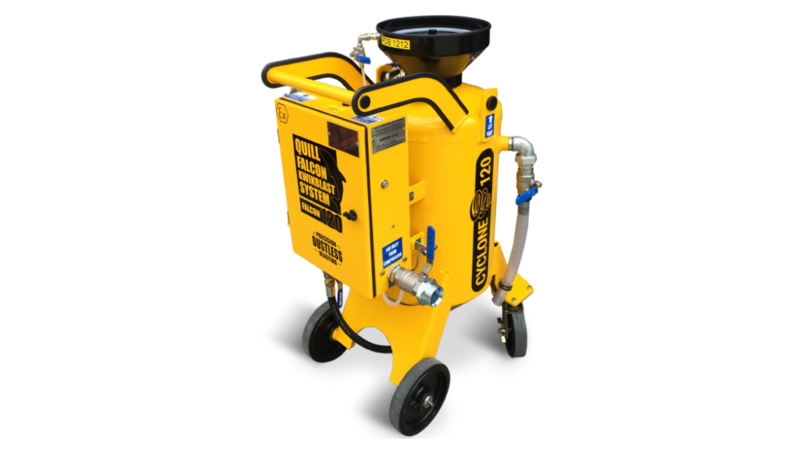 The Quill Falcon Cyclone 60 Trailer is the most convenient of the Quill Falcon range and gives you everything you need to start abrasive blasting almost immediately. 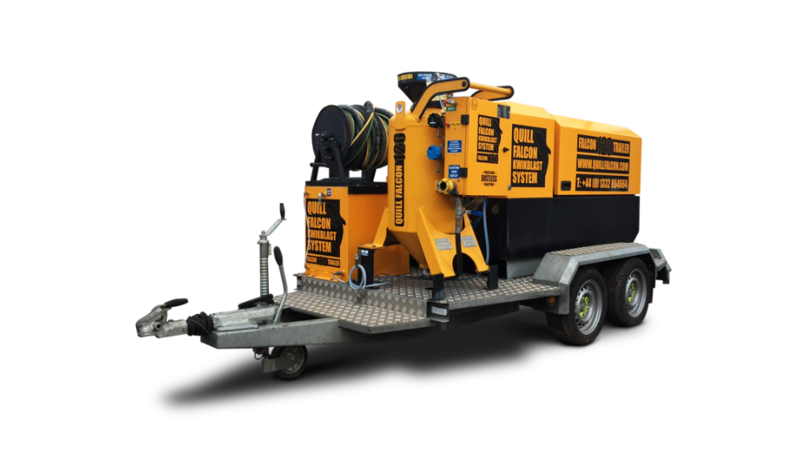 The Quill Falcon Cyclone 120 Trailer is both convenient and powerful and is ideal when you are working in difficult and remote locations where access to a water supply is limited. 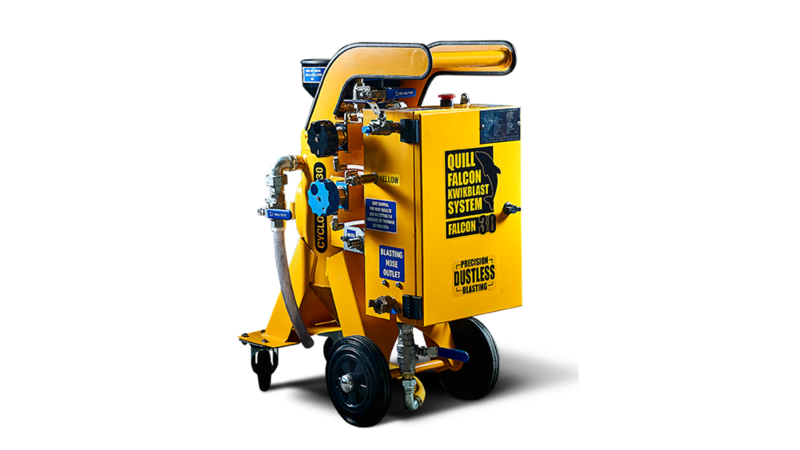 Quill Falcon wet abrasive blasting machines are simple to operate and no specialist experience or qualifications are required. We provide full training and in about 30 minutes most people are competent and confident to be able to use our equipment safely and effectively.